Ocasio Cortez has threatened Donald Trump Jr. using the power of her new congressional seat. Abuse of power seems to be a common trait with Democrats. 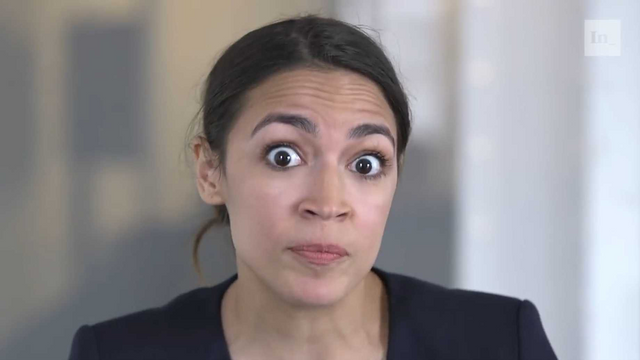 at least Occasional Cortex didn't threaten to nuke him. why are dhmikrats so violent? They are so violent because their bible is Karl Marx's manifesto. I read it and the only way he believes communism can be successfully implemented is through force. It was a surprisingly short read. everywhere socialism has been tried. large numbers of people have died. I just noticed the rhyme in your prose. Upping your literary game? Around 100 million and counting. And it's all about how they think. No one has less tolerance for independent thinking than a leftist. I've been 'thinking' in rhymes for a couple of years now. When I read a book there's a cadence to it. I dunno if mine is positive or not.